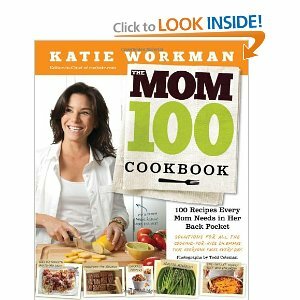 Back to school this week and of course we have all the great ideas and recipes that Katie Workman’s cookbook The 100 mom gives us especially for this crazy mornings. It is very important to give a balanced diet to our children, especially when they spend hours studying every day. Each of the recipes that the #SundaySupper family prepare for you is full with delicious and nutritious experience for your children, easy to prepare and even great for a snack. We share with you one more week and the last in which will have the pleasure to have Katie Workman. Fill yourself with inspiration, you will be very satisfied with all the delicious ideas that we are prepared for this occasion. Heat a skillet spray with cooking spray and then add the butter, cook the green onions for 2 minutes and then add the cup of turkey sausage stir. In a separate bowl whisk the eggs with the half and half. Add eggs to the above mixture along with fresh herbs, add salt and pepper, cook for 5 minutes. Remove from heat and serve immediately, accompanied by toast and orange juice. Here are more delicious recipes to inspired you in this Back to school week. 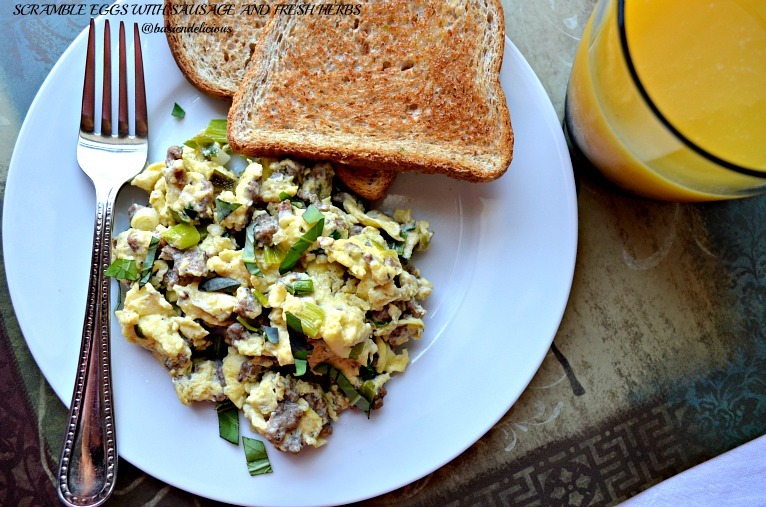 This entry was posted in #SundaySupper and tagged easy, eggs, herbs, sausage by Kathia Rodriguez. Bookmark the permalink.